ASSEMBLED DIMENSION: 25.6 "W X 25.6"L X 21"H (Taller Version). This Lego Table is sized right for toddlers and kids aged 3+. 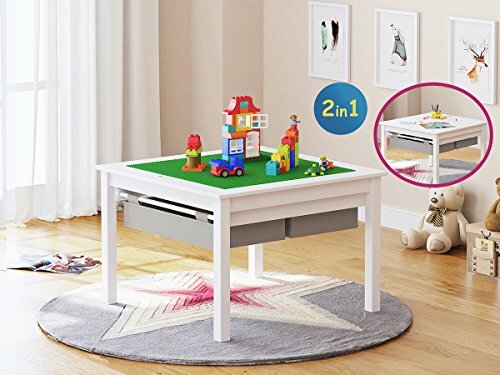 The height is conveniently sized for young children, making it easy for them to access the table while either kneeling or sitting on the floor.